Here at La Crisalida we offer different styles of yoga across the week, ranging from Hatha, Vinyassa, Kundalini, Viniyoga and Yin. Many people have not experienced yin yoga so are curious about what it is. One way of thinking about it is that if you are uncomfortable sitting in a pose for longer than a minute or two, then yin yoga is the yoga style for you! Here, we discuss what yin yoga is and look at what it does for our health. In Yin yoga, asanas (Poses) are held for up to five minutes each. We “sit” in an asana and allow the body to open. As the body opens, you are able to sink deeper into the asana. The idea is that you would move into an asana, so that you can feel that the body is working (stretching, twisting or squeezing, but not in pain), and then hold. There is no straining or pulling; the idea is to encourage softness, both in our body and in our approach. In an hour class, we would typically practice up to eight asanas, plus the opening meditation, and closing relaxation. Some asanas are similar to those practiced in Hatha yoga, but the approach is very different! For example, Caterpillar has similarities to seated forward fold (Paschimottanasana), however in Yin yoga we round the spine. Shoelace (a hip openor) resembles Cowface (Gomukasana), and so on. Yin yoga works the connective tissues, rather than the muscles. Connective tissues (including joints, ligaments and tendons), are less elastic than muscles, so to build strength and flexibility, we hold the asana for a longer period of time (compared to Hatha yoga) and then gently release. This holding for a longer period gently encourages the connective tissues to slowly lengthen. Using softness, we take care not to aggressively or vigorously move or stretch these connective tissues, rather gently holding in alignment. As you repeat the practice weekly or more frequently, these connective tissues build in strength. Strong connective tissues can help to stabilise joints as well as encouraging them to be more mobile, which is particularly important as we get older. It also means that we become more comfortable sitting in our body for longer periods of time, ideal for meditation practice. At La Crisalida, we complement our practice with a breathing technique in our Yin class, called Ocean Breath. This Ocean Breath helps to focus our mind on our breath, to stay present in our body during the practice, whilst we hold each asana. To practice ocean breath, you breathe in through the nose for a count of four, then breathe out through the nose for a count of four. Like waves gently falling onto the beach and rolling out again. The exhale can help us to open the body further. Yin yoga is also said to work with the meridians in the body. Meridians, according to Chinese medicine, are pathways of energy that flow through the body. Chinese medicine holds that injury, stress or bad living habits can cause blockages in the meridians or energy flow, and that these blockages lead to imbalance and ill-health in the body. By holding the asana, these meridians are gently stimulated, leading to improved energy flow (or Qi) around the body. When is it best to practice? You may wonder when is the best time to practice Yin yoga? You will benefit from practicing yin yoga at different times of the day, or indeed year. Morning is a good time, when the muscles are colder, as it means that our connective tissues are more likely to be worked. However, it is also good to practice Yin on an evening, when we can start to relax and calm down before sleep. Yin is an ideal style of yoga to bring relaxation to the mind and body if you live a hectic lifestyle. At La Crisalida, we believe in a balanced approach to life. So our Yin classes balance the more active Vinyassa classes. 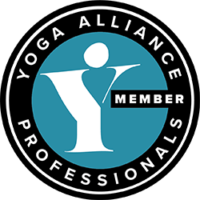 If you prefer the more dynamic Vinyassa classes, maybe consider taking one Yin class a week, to gain some balance in your yoga practice and to start to allow your body (and mind) to slow down. A balanced approach to our yoga practice can influence a more balanced approach to our life, and ultimately to better health! I am coming to Spain from 19th Sept - 23rd Sept and am looking to do a few yoga classes. I regularly do yoga, pilates and body balance in the UK and am looking for a nice relaxing break away! I am interested in YIN particularly. please could you let me know when these classes would be on and how much they are? Hi Maisie, thank you for your comment. We have passed this on to our reception team and they will send you a direct email about our classes and prices. Currently we run two sessions of yin yoga each week, plus one restorative class. Class style can vary each week, so we also offer Hatha, Hatha flow, one kundalini and one anusara class. A new programme is prepared weekly and is available each Sunday. Best wishes Alice.